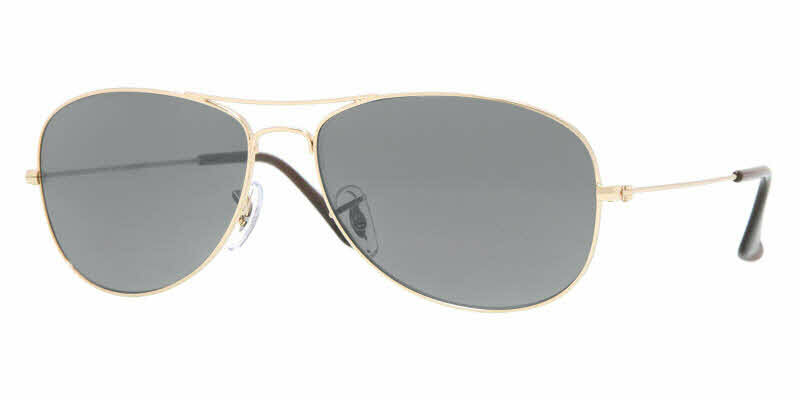 Ray-Ban RB3362 Cockpit Prescription Sunglasses are perfect for you if you've always wanted to wear Aviators but felt they didn't suit your face. Cockpits are a contemporary, smaller version of the classic Aviator with a different shaped lens. The lenses are slightly less long vertically, so they're perfect for getting with prescription lenses. Designed for Men or Women. This style is available in a variety of colors, to help you personalize your look. Full rim frame made from laser cut Monel metal - lightweight and durable. Comes in Ray-Ban protective carrying case with cleaning cloth. The glasses look good and I like them fine. But they are not big aviator glasses like I thought they were and they are not as dark as I would like them to be. Fast delivery service, and I love my Ran Ban sunglasses. Prescription sunglasses. showed up on-time and prescription and various features were perfect. Only area for improvement would be if the wait wasn't over 2 weeks from order to arrival.